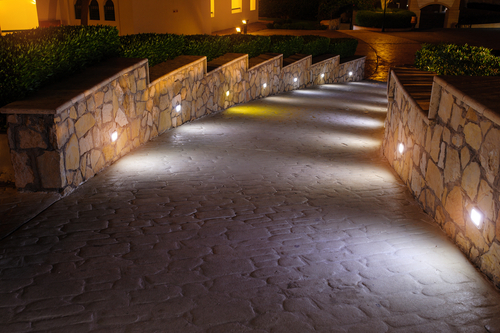 When you have beautiful landscaping you want to show off, adding lighting to your space is the natural next step. But if you just walk into a home improvement store, it can be tough to visualize their landscape lighting options in your yard. To help spark your creativity, we have six excellent landscape lighting ideas for you to check out and potentially try at your home. 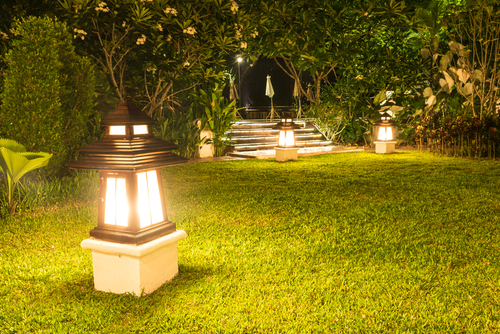 If you don’t want to detract from your beautiful landscaping, but you want to add lights, choosing well-placed inset garden lights can highlight your yard without interrupting the design flow. These lights can be set up by in-ground wiring, though some have solar power options. However, as these lights are inset in the ground near greenery, it can be tough for them to receive enough light to power them up. Rope lights aren’t just for indoor craft projects and theater rooms anymore! 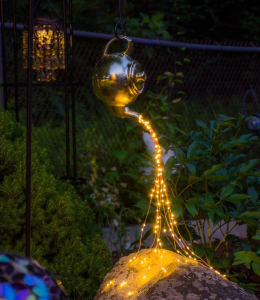 With a little work and creativity, you can take some rope lights and some yard anchors to create bright feature lighting in your landscaping. We do recommend you place the rope lights carefully to keep from tripping over it or accidentally running it over with a lawn machine. Using these lights as a hardscaping framing tool will likely be the best option. 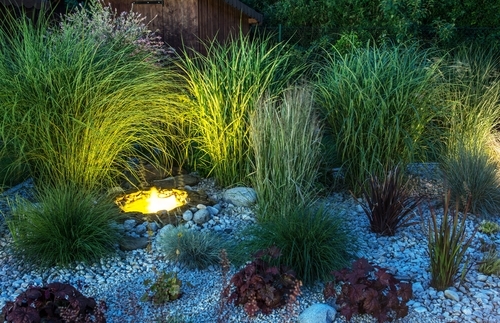 Not all landscape lighting needs to be tucked away. In fact, depending on the available space in your yard, you may want to choose feature lamps as part of your landscape lighting plan. Post lights, like the ones displayed above, can be hardwired so you can control when they are on, or you can add solar-powered feature lamps to your yard. 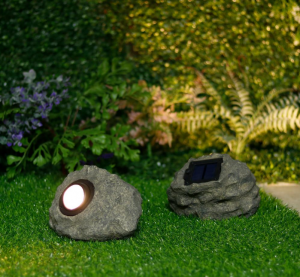 Blend your landscape lighting into your already sculpted yard when you use these solar-powered rock lights. Since they are solar-powered, you can place them wherever you prefer to highlight your landscaping. This feature is especially handy if you want to highlight an area which would be difficult with other types of landscape lighting. Your lighting doesn’t have to live among the greenery. 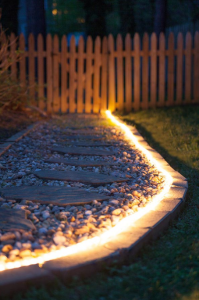 If your hardscaping walls or pathway are ready for a refresh, you may want to consider embedding landscape lighting into your rebuilt hardscaping. This option also protects your lighting fixtures from being stepped on, mown over, and other dangers which most landscape lighting faces. Along with adding standard landscape lighting to your yard, you may want to consider a feature lighting accent, like the whimsical teapot spilling lights above. This particular project required some DIY ingenuity, but a lighting specialty shop can likely create whatever feature you are looking for if crafting isn’t your style. If you would like expert help installing new landscape lighting, a landscape reimagining, masonry help or other assistance improving your outdoor space, be sure to contact Stonetree for all your landscaping needs.